The core is the power source of your running. Within the core is the spine, the hub of life for the central nervous system. 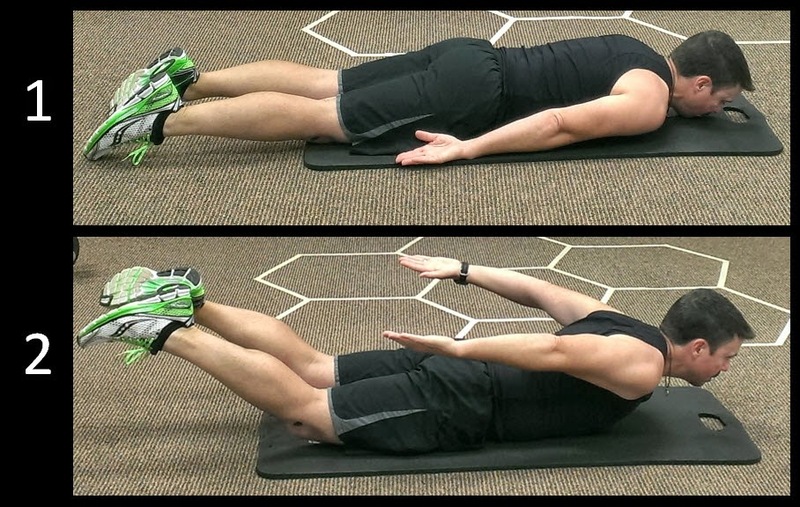 The prone cobra exercise below helps improve your ability to stabilize your spine. Spine stabilization is essential to any sport and running is no different. Not only does this simple but awesome exercise help with spine stabilization, it also works the entire core, including the lower back, your abdominal muscles and hip muscles. The upper-back between the shoulders also gets some action. To do the exercise, lie facedown on a mat with your arms by your sides and your legs straight behind you. Next engage your glutes and lower back muscles to lift your legs off the floor while simultaneously lifting your head, chest, and both arms up off the mat toward the ceiling. Hold this position for a 3-count. Then relax as you return your legs, arms, chest, and head back to the mat. That's one rep. Continue 3-count lifts for 30 seconds.